Speaking to Jewish leaders in Jerusalem at the annual Conference of Presidents of Major American Jewish Organizations, Israeli Prime Minister Benjamin Netanyahu spoke about the resurgence of anti-Semitism. 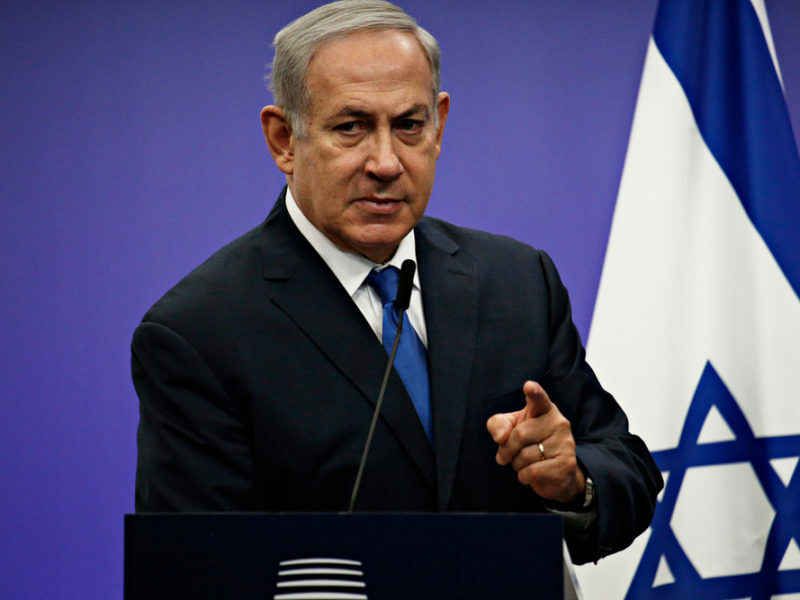 “There is one problem that we face and we are aware of it, you’re aware of it – it’s the resurgence of anti-Semitism…It parallels the success that we’ve talked about in Israel,” the Prime Minister said. It seems that no matter how much Israel develops as a nation, leading advances in many different spheres, sadly we see a correlating increase in hatred of the Jewish people. The latest example of this being more desecrations of graves in France. Today something shocking happened in France. Eighty Jewish graves were desecrated with Nazi symbols by wild anti-Semites. “Anti-Semitism is a plague that endangers everyone, not just us, and it must be condemned wherever and whenever it rears its head,” Netanyahu said. In response, according to Twitter, French President Macron told Prime Minister Netanyahu that he would adopt the International Holocaust Remembrance Alliance definition which determines that anti-Zionism is a form of anti-Semitism. The Prime Minister expressed his appreciation. CBN Christian World News can be seen on GOD TV on Mondays at 9:05 pm GMT /EST bringing a Biblical perspective to today’s news headlines and stories that are of importance to the global Christian community.